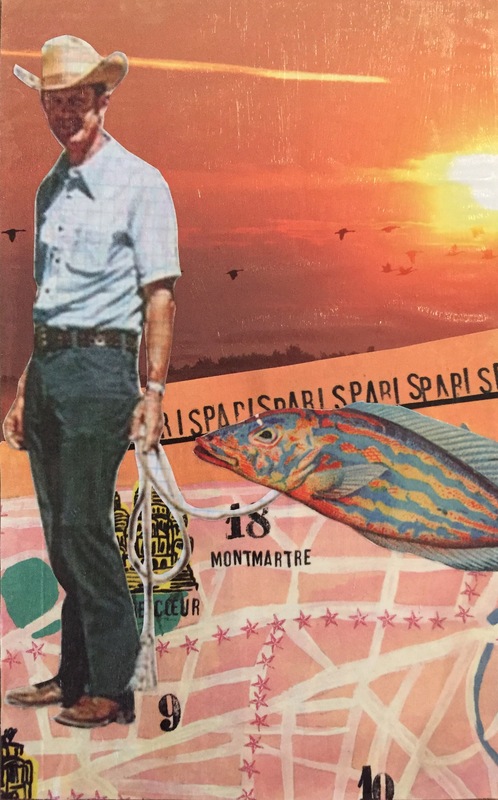 Handmade postcard that had to have a fish on it… I enjoyed collaging! VERY VERY NICE love the fish wrangler!!!! !